We are a full-service breast health center that features fully digital mammography screening and diagnostic work-ups with the comfort, privacy and compassion every woman deserves. The Breast Health Center is designed to make important regular breast screenings as pleasant an experience as possible. We organize the management of breast diseases, including the screening, diagnosis, and access to early treatment options for breast cancer in a coordinated, integrated, and multidisciplinary approach. 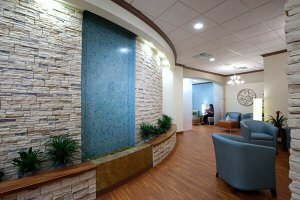 Ascension Providence Breast Health Center has medical professionals on site, including a specialized nurse navigator who serves as a compassionate treatment guide for women who have been diagnosed with cancer. Our goal is to reduce the mortality rate of breast cancer in our community through early detection and access to treatment. Access to support resources including support groups, exercise programs, physical and emotional therapies, etc. Ascension Providence Breast Health Center is designed for maximum efficiency, giving our patients a “one-stop” comprehensive service. Our patients can have access to a complete diagnostic workup and to a surgeon if needed. We offer speedy appointments and a streamlined registration process. Our professional staff have designed a workflow that enhances timeliness and improves the quality of interpretation, which will ultimately reduce recall rates. Ascension Providence Breast Health Center fulfills all regulatory requirements for MQSA and TDH certification. We have medical leadership from the most utilized surgical group in our area, and our multidisciplinary advisory board consists of some of Waco’s finest doctors and community members. Ascension Providence Breast Health Center is part of a multidisciplinary breast-specific tumor conference where diagnosed cases are reviewed by treatment physicians to create the best possible treatment plan, and we have cultivated strong relationships with resources in Central Texas such as Susan G. Komen Central Texas Affiliate and the American Cancer Society. The Ascension Providence Breast Health Center organizes the management of breast diseases, including the screening, diagnosis, and access to early treatment options for breast cancer in a coordinated, integrated, and multidisciplinary approach.